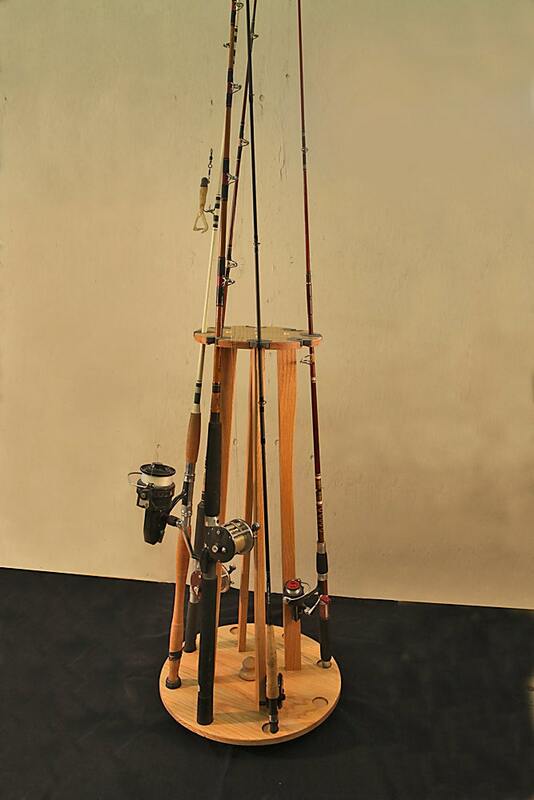 This fishing rod & reel or pool cue organizer stores up to 8 rod & reel combos or pool cues. 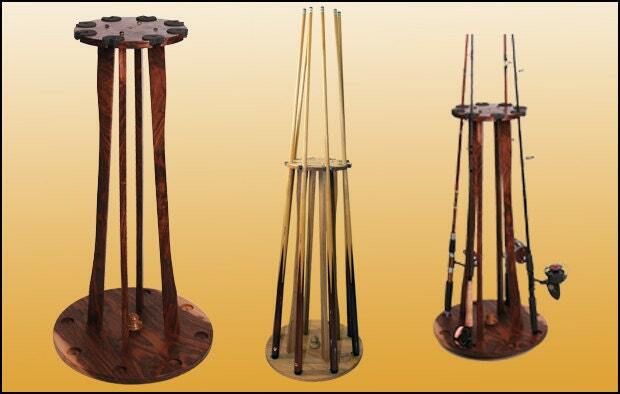 If you are looking for a classy fishing rod & reel holder for your trophy room or den, consider this unit. It is made in Oregon to a furniture grade standard. Fit and finish is exquisite. 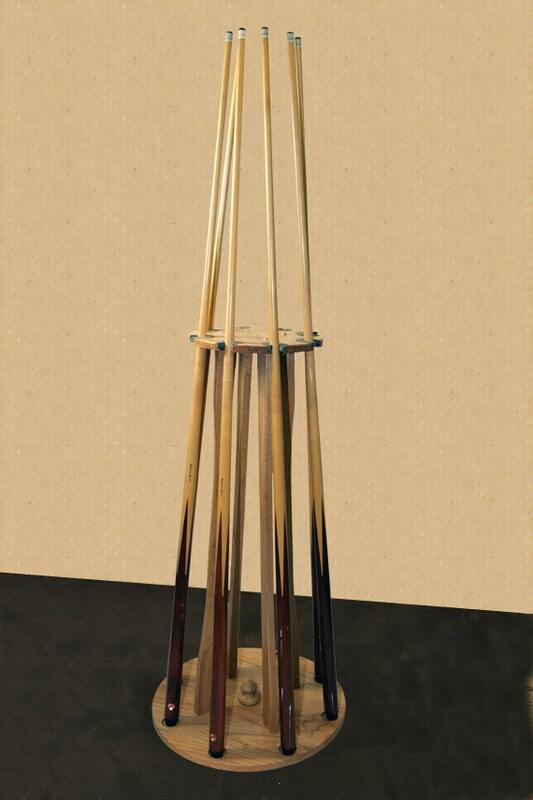 Made of real wood (no composites) and finished in its natural state. 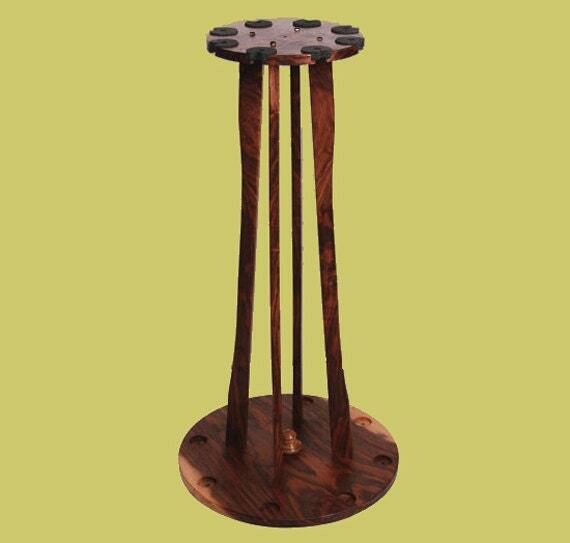 The round base (18") has four rubber feet providing friction contact to the floor for stability, standing 38" high. The unique rigid foam rod retainers will hold fast, limiting movement. Available in: Oak or Cherry. Your choice! 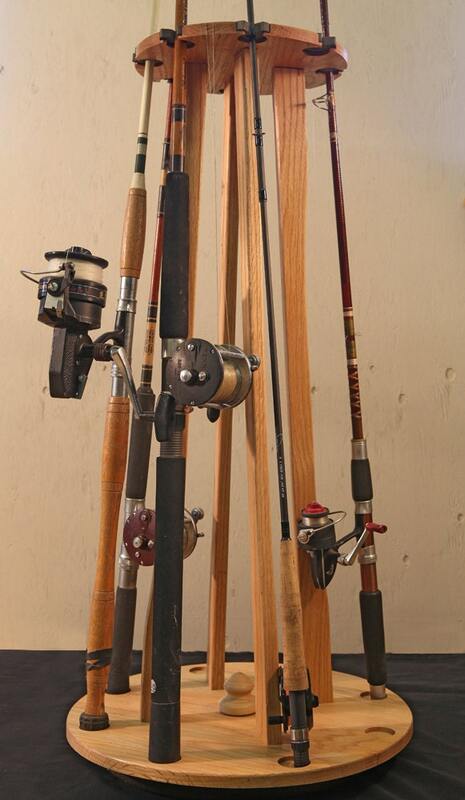 This holder will fit all types, sizes, and styles of fishing rods or pool cues. Item was shipped quickly and packaged well. The stain was uneven around bottom of product.